Note: This is not your typical tech review with extensive specs lists and benchmarks, and are just opinions from an everyday user. The gaming notebook market is one that never ceases to amaze. For most of the 21st century, more and more power is being crammed into these desk-bound powerhouses to satisfy the increasing demands of gamers who don’t just want the aesthetics, but also the specifications to back it up. Not content with just what’s inside their notebook computers, manufacturers are now seeking ways to take gaming experiences on their laptops to another level by developing connected external docks for graphics cards. 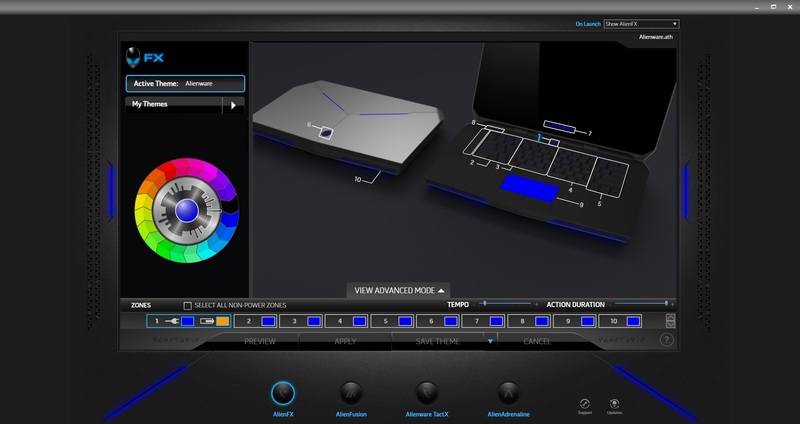 Dell was one of the first in the market to put into mass production a dedicated external graphic solution for their line of Alienware gaming notebooks. Dubbed the Graphics Amplifier, it is an external case that you can dock desktop graphics cards into, and hook up to your laptops. Thanks to Dell, I got my hands on the latest Alienware gaming laptop that supports the Graphics Amplifier, and for the next few weeks, tried to figure out who this combo is for. 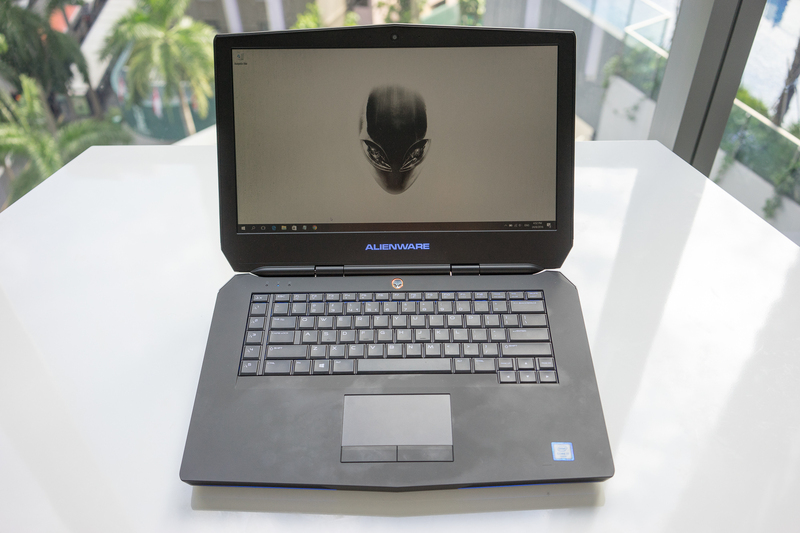 First thing’s first, the Alienware series of gaming laptops are still the same hulking masses of technology that will reside on your table most of the time. Let’s be realistic here, even guys who have been through national service will balk at the idea of carrying this 3.2kg monstrosity everywhere they go. 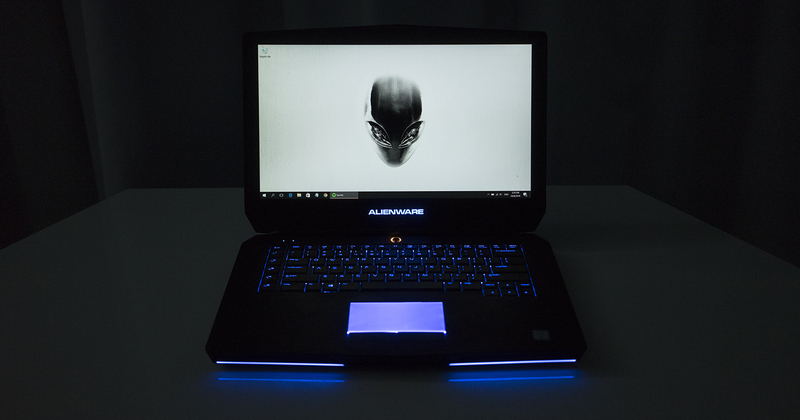 If you’re already familiar with Alienware, then you will get no surprises here. The styling is the same as always with angled accents and vents throughout, topped off with the prominent Alien logo sitting on the the lid. This was the configuration that I was sent. If you look at the Dell online store, the specifications between the most expensive and least expensive ones are down to either your choice of screen (1080p or 4K) or graphics card (Nvidia GTX 970m or 980m). Unfortunately, I got the option with the 1080p screen – but more on that later. Then there’s the Graphics Amplifier, a case to put in a desktop grade graphics card which then connects to the back of the laptop via a cable. 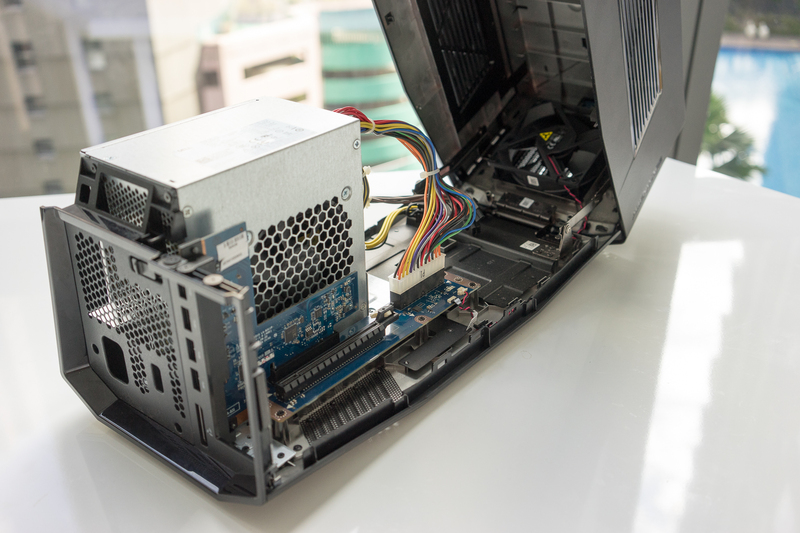 Basically, all you need to do here is switch off the laptop, open up the case, install the desired graphics card, hook up the included cables for power and laptop connection before booting it up. It works fine with any modern graphics cards. I had a Nvidia GTX 750ti lying around at home, so I used that for the purpose of testing the Graphics Amplifier. After a restart, you will be prompted to do a system update. Restart again, and you’re good to go with all the necessary drivers installed. As a casual gamer, I have had my fair share of Playstation consoles for games, and laptop computers which were bought for the sole purpose for use in school, and desktop computers for my home, which I built with parts that I got from Sim Lim Square. For the longest time, I had always deemed gaming laptops an unnecessary choice in my purchasing decisions mainly because of their prices. Trawl any PC enthusiasts forum in the world and the most common advice is to tell you to build your own desktop computer instead of wasting money on gaming laptops. So the decision to bring in the Alienware 15 R2 with the Graphics Amplifier was in part to satiate my curiosity on the viability of such a setup as a desktop replacement. First off, all that power at my fingertips. With the i7 6700HQ processor, 16gb of RAM, and that GTX 980m, you’ll be hard-pressed to find ways to stress this machine. 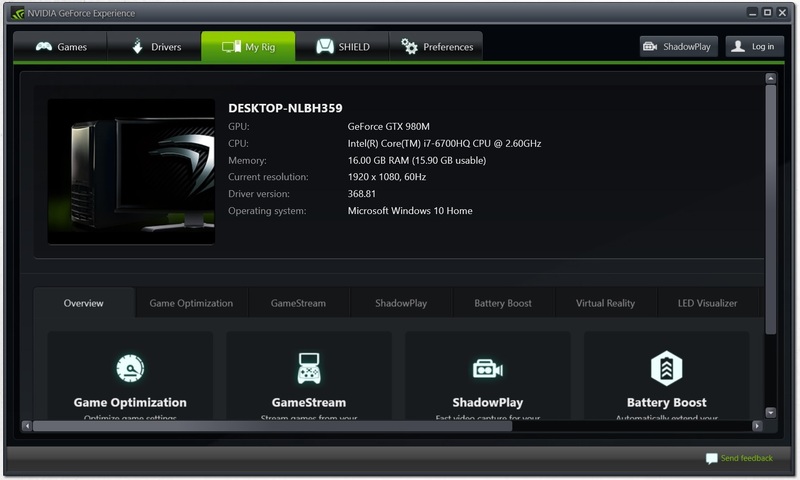 Maybe its because all those specifications are only running on a 1080p screen, which makes everything buttery smooth. Sad to say, I don’t have the latest AAA games to throw at this machine, but I made due with one of my favourite games, DiRT. No stutters, just detailed Rally goodness. Finally, plus points to the audio output. They sounded great during the times I plugged in my headphones, or if I’m just blasting through the Klipsch audio front facing speakers (which I enjoy very much when there was no one in the office). You can also change up the backlit colours all around the laptop according to the different zone. Choose from the colours available in their palette and create your own custom profiles – which will come in useful if you use the macro keys a lot, since you can designate them with a different colour than the main keyboard keys. It gets way too hot under load (though expected of gaming laptops), and the noise generated the machine being overworked is very audible. Imagine having to put up with fan noises from both the laptop and the graphics amplifier at the same time while playing games! Guess this this why it is recommended that users put on a headset while gaming. Then there’s the screen, which is quite yellow. Do a quick search on Google and you will find all sorts of complaints regarding the yellow-tinted 1080p screen. Responses from the community have generally pointed out that if you want something more colour accurate, you will need to fork out more for the 4K IGZO display option. For myself, the R2 turned into just a word processing and media consumption machine, as the tint was so distinctive that I had trouble doing any photo or video work on it. Also there are those front edges. It might just be me, but when typing for extended periods of time, those edges were very uncomfortable to rest my wrists on. And finally, if you hate smudges and fingerprints, that matte black paint-job will attract loads – you have been warned. Well for one, not myself. 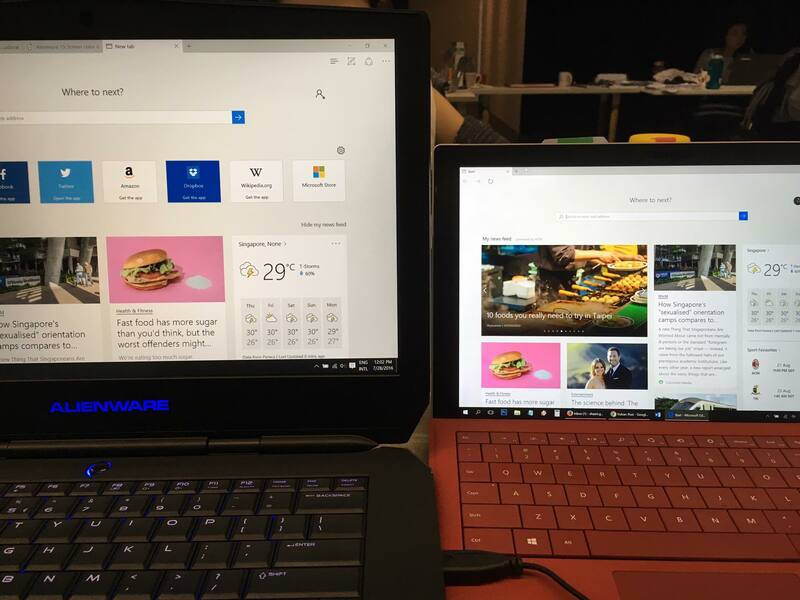 Even if I had the model with the better screen, the ergonomics of the laptop is a negative point for me. Also as someone who is looking to tidy up my desk, the Alienware 15 R2 plus the Graphics Amplifier actually takes up of desk real estate. But if you love to play the latest games with the option of upgrading the most important piece of hardware through external means, and more importantly, have the space to spare, then this is for you. Do note that when you buy into this system, you will also be included into Dell’s Premium Support service, because even the best hardware will have issues sometimes. Via the support service, you can seek help from them 24/7 from the comfort of your own home. 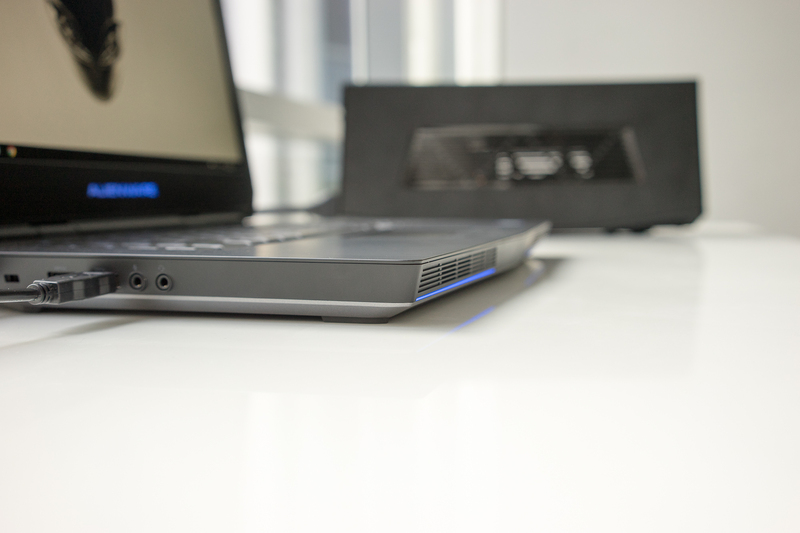 Personally though, if you can afford to wait, Dell recently just announced a slew of new products at IFA 2016, and of course, these included new Alienware laptops, with some interesting new features and the spanking new GTX 10xx series graphics. 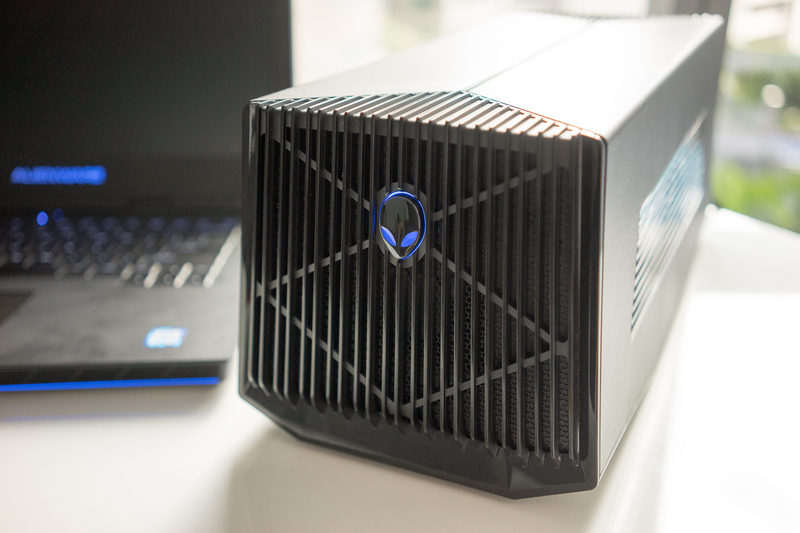 If that doesn’t interest you, or you prefer putting a desktop GTX 10xx card in the Graphics Amplifier, then the current range of Alienware laptops may be worth a look.